Our Team | Shaun Hopkins Seminars Ltd.
We’ve got a great team to help you and your business meet your training and development needs. 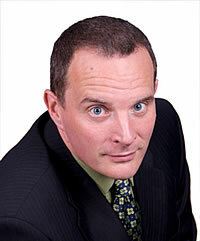 Shaun has 30 years of experience as an executive and consultant. He has held progressively senior positions in the fields of banking, non-profit, and consulting before founding Shaun Hopkins Seminars in 2002. He has conducted over 1000 workshops in Canada, USA, Europe, Asia and the Middle East. Shaun has earned academic qualifications from Queen’s University and the Université de Paris-Sorbonne, as well as a Diploma in Training and Development. His program design expertise has resulted in two awards from the Canadian Society for Training and Development, recognizing his contributions to the field of adult learning. 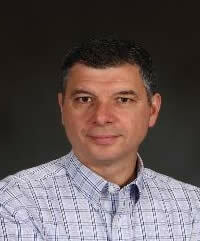 Gino has over 25 years of experience as a learning and development specialist, manager, and senior consultant. He has held progressively senior positions within the telecom and human resource development fields. He has conducted over 1000 workshops in Canada, Europe, and the USA. With his wealth of experience and people skills, Gino’s executive coaching skills help leaders to make more effective decisions. Gino attended the University of Maryland, and has earned a Diploma in Business Administration. 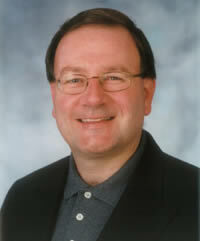 Gino is a member of the Canadian Society for Training and Development and a former member of its editorial board. His industry knowledge and advanced communication skills help him to create long-lasting relationships and exemplary results with his clients. Margaret is an Instructional Designer with over ten years’ experience in various forms of adult education. Her work focuses on creating web-based learning solutions, but she is also a talented classroom facilitator and writer of both traditional training materials and video scripts. She has enjoyed varied careers from teaching and curriculum design to database development and administration. These experiences have led to a unique skill set that combines technical know-how with educational expertise. Margaret has a Bachelor’s degree in Education and a Masters degree in Distance Education. Denis is a fully bilingual consultant with a broad business background in sales, marketing, operations, support, and program management. During his 15 years of practical experience in the IT and high tech industries, Denis led initiatives in small and large organizations, both public and private. Denis has coached individuals from all professional levels. He brings special skills in entrepreneurship, consulting, and career management. He is completing his Graduate Certificate in Executive Coaching at the University of Royal Roads. He is a Professional Certified Coach from the International Coaching Federation and is working towards his master certification. Susan has 35 years experience as an administrator. She has held both administrative and management positions in the banking industry. 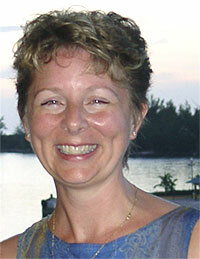 For the past ten years, Susan has managed the administrative support function at Shaun Hopkins Seminars. She is responsible for scheduling, procurement, shipping, accounting, client support, and third-party relationships.